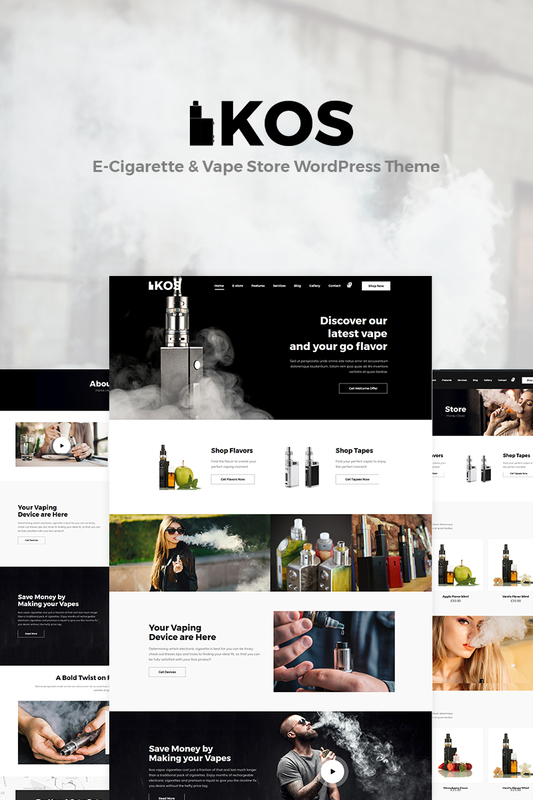 Ikos - E-Cigarette & Vape Store WordPress Theme is a contemporary site idea for E-cigarette online stores and also for Vape Communities. It comes with multiple gallery grid styles and lots of predefined web pages ready to use. The theme also comes with WooCommerce. This represent the fact that it is ready to sell your products, by having an attractive & modern looking design. Images not included in the theme-package, because of licensing limitations from the original owners.